Welcome to our Pupil Voice page. 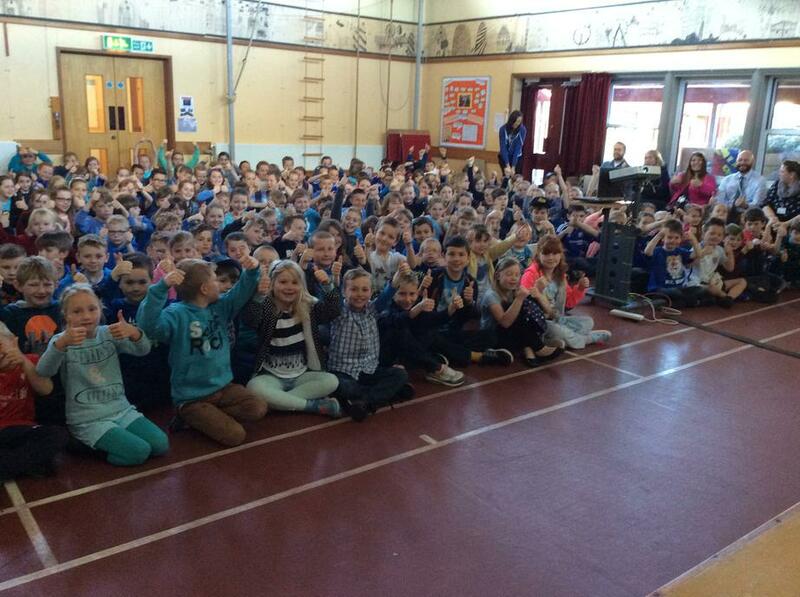 This page will have all the latest School Council and Rights Respecting Ambassador news. Our Pupil Voice group aim to meet fortnightly; at the bottom of this page you will be able to read about what happened at the most recent meeting (in the children's own words). We have voted democratically for our Pupil Voice group to represent the views of the pupils and to focus on improving the school, alongside the Head Boy and Girl, the House captains and Senior Leadership Team and the Governors. We currently have a Head boy- Tom McMillan, and a Head Girl- Marika Skorupka, who were voted for by the adults in the school. We also have 4 House captains, Connor Dovell , Lexie Way, Tate Holloway and Lottie Stiles . These pupils were chosen because of their positive attitude to school life and willingness to work hard.. The children all learnt about Fairtrade over the course of the Fortnight in their classes. They learnt that when farmer's get paid a fair price then their families are able to have safe houses to live in, clothes to wear, access education for their children, eat nutritious food, have clean water and access healthcare.The Pupil Voice group and their classes came up with some fab ideas for Fairtrade Fortnight. They had a bake sale, which made £224! The children bought some Rights Respecting resources with the money and donated a large amount to the Fairtrade Foundation, which sends money directly to Fairtrade farmers. The children also challenged their teachers to bake Fairtrade cakes. They had great fun judging the cakes by look and taste- well done to Mrs Halls who was a worthy winner with her scrumptious chocolate cake. The whole school also made Fairtrade banners which will be displayed in our school hall (pictures to follow shortly). We can't wait to see how fantastic the banner will look with over 400 flags! UNCRC Article 24 You have the right to the best healthcare possible, safe water to drink, nutritious food and a clean and safe environment to help you stay well. UNCRC Article 27 You have the right to food, clothing, a safe place to live and to have your basic needs met. Did you know that it takes 100 years for a battery to compose? The children at Chickerell Academy all brought home a Big Battery Hunt collection box where they have joined the nationwide hunt to recycle more batteries. Every time they fill up their box at home they can then bring it into school and empty it into our whole school Big Battery box, which is set up in the foyer outside the office. This recycling scheme not only helps the environment but puts our school in with a chance of winning some spectacular prizes…. So far we have filled up our huge whole school battery box three times over and we have already had to invite the Big Battery Hunt team into school to empty our box a number of times. Great job everyone! The Global Goals for Sustainable Development- Goal 12 Responsible Consumption and Production- need to shift from waste to resource management. We are Rights Respecting Gold. We are delighted that our school has been recognised for establishing an environment where pupil voice is paramount to the children's learning and running of our school. Please take the time to read our RRS level 2 (Gold) report, which we are extremely proud of. School council task for Monday 10th October School council will complete a homework survey as a representative group from across the school. The ‘United Nations Convention on the Rights of the Child’ underpins everything that we do here at Chickerell Primary Academy. School Councils are democracy in action; the School Council at Chickerell Primary Academy consists of representatives from Year 1 to Year 6. Our Reception classes learn about democracy through their Early Years Foundation Stage curriculum and contribute ideas for the School Council to discuss. The School Council meets every two weeks alongside our Rights Respecting School Ambassadors (RRSA) to express views on behalf of their classes and to make decisions. Mrs. Llewellyn leads our School Council and Miss Stanton leads our RRSA; we all meet together as a Pupil Voice group so that we can share our ideas and the jobs we need to do after our meetings. Mrs. Llewellyn and Miss Stanton prepare minutes of the meetings for our class teachers and also post these on the website for us. After each meeting we are given a ‘job’ to carry out within school for example, we may have to talk to our classes about a school issue or gather ideas about how we could improve upon an area within school. Staff are always keen to know the views of our pupils. For example, our School Council and RRSA will be discussing their thoughts about our Enrichment sessions and our ‘Day at the museum’ whole school History open afternoon over the next few weeks. This year we would like to create a child friendly School Improvement Plan so that we are all aware of what needs to be done to make our school even better. The School Council and our RRSA are even involved in the interview process for vacancies in school. Two members recently showed candidates around the school, explained our school ethos to them and then reported back to Miss Harris about how friendly and interested the candidates were. Representatives of the School Council and our RRSA are very much active citizens within the school and the local community. They have led whole school assemblies, taken the lead in overseeing Rights Respecting displays and Class Charters and have created a whole school Rights Respecting display for the school hall. They have also advised teachers on the wording of their Classroom Charters. How can you as a pupil become involved? The School Council, alongside our RRSA plays a vital role in the life of Chickerell Primary Academy. They voice the views of the pupils and help Miss Harris, our Governors and our staff to continually strive for school improvement. We know that when children feel safe and secure at school and when they know that their opinions and views are valued and listened to, they will feel an integral part of our school community. This is very important to us here at Chickerell Primary Academy and therefore we encourage our children to become involved and to represent the views of their classes so that we can all work together in a democratic way. In Key Stage 1 elections for the School Council take place at the beginning of the autumn term within classes. Key Stage 2 children are invited to write a letter to Miss Harris, our Head Teacher, explaining why they would like to become a School Councillor, Miss Harris then selects those children who have impressed her with their enthusiasm for the role. Miss Stanton leads the elections for the RRSA in the summer term so that she has time to work alongside them and support them before they begin their important roles the following term. If you would like to become a member of our School Council or a RRSA then let your class teacher and your friends know. If you are not successful in gaining a place this year then make sure that you involve yourself as fully as you can by letting your current class councilors and ambassadors know your views! The Pupil Voice group planned and organised our school Fairtrade Fortnight 2018. They decided to raise awareness of Fairtrade by learning about it in their lessons and linking lessons to the UNCRC articles. Each class also created Fairtrade displays for their classes. The children decided to host a Fairtrade football penalty shootout at the MUGA. Each pupil who took part payed 20p and were challenged to school goals against Year 5 members of Pupil Voice and their teachers! The Pupil Voice group also challenged the children at home to bake Fairtrade cakes to be judged by the Pupil Voice group and then sold in an after school bake off. The recipes from the cakes are going to be produced into a Fairtrade recipe book that we hope will raise money for the school. 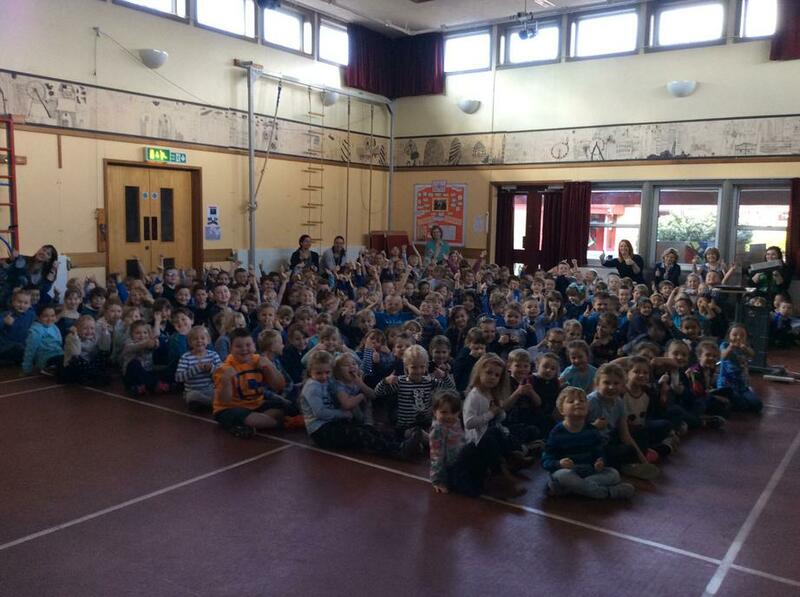 The children decided that they wanted to give the £148 raised at this event to the local homeless bus. The cakes that were left over from the sale were also taken down to the local food bank in Weymouth. What a a great event! Chickerell Academy took part in the ShoeShare appeal. 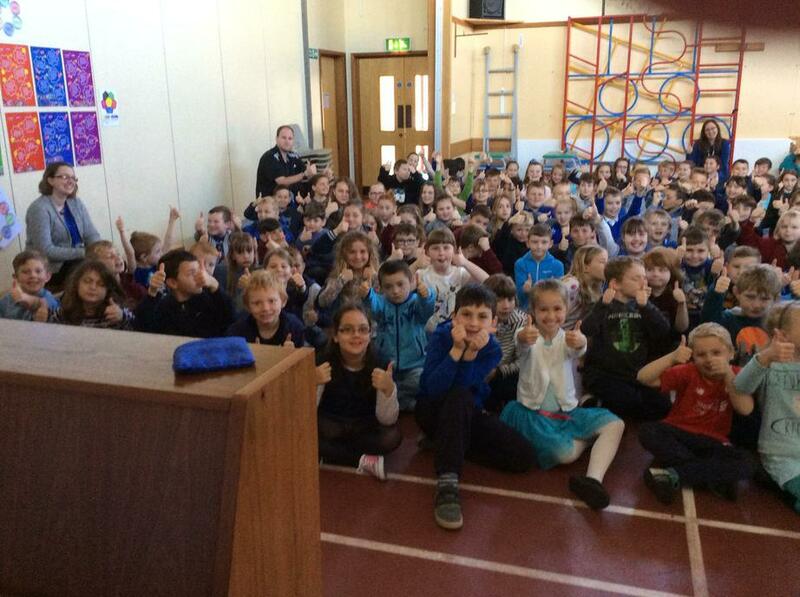 It is a campaign in partnership with the Rights Respecting Schools Award and Clarks Shoes. The ShoeShare campaign collects old or unwanted shoes. These old or unwanted shoes are then sent for re-use. For every tonne of shoes collected, a donation is made to Unicef which goes towards education programmes around the world. Chickerell Academy collected over 500 pairs of shoes in 2017 and over 200 pairs in 2018, which were then delivered to our local Clarks store in Weymouth by one of our parents. What a great amount to collect. The children and teachers of Chickerell Primary Academy have been working very hard over the past few years to build upon being Rights Respecting Level 1 and to be awarded Rights Respecting Level Gold. We are so proud that our hard work has paid off and we have now been awarded RRS Gold. The inspectors who came into school to see our fantastic learning and achievements were extremely impressed with the standard of our school and their report reads brilliantly. We would love for you to take some time to read this report and would also like to thank you for supporting your children with this. 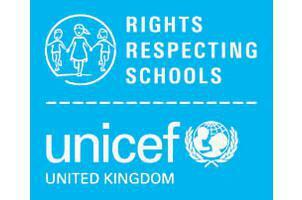 The UNCRC underpins all that we do as a school. All children in school are aware that they have rights and that they respect the rights of others, whilst taking responsibility for their own rights and actions. What are child rights? An animation to help younger children understand their rights. The School Council are super keen to work together to make their voices heard and to improve their school. Our Rights Respecting Ambassadors are very enthusiastic about helping to make our school a better place and to be the voice for the children. They have lots of ideas and are looking forward to sharing them. 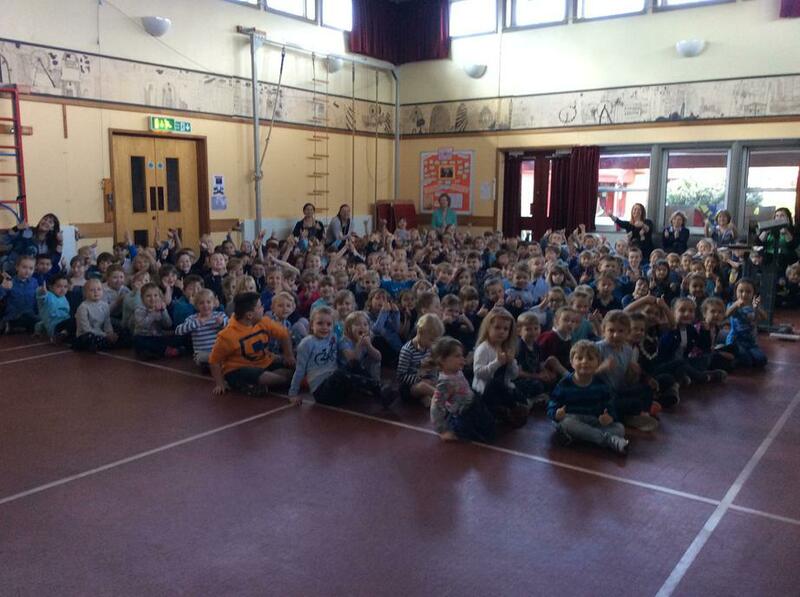 The children decided to raise money to go towards aiding the Syrian crisis, by wearing UNICEF's official colour, blue, to school today. 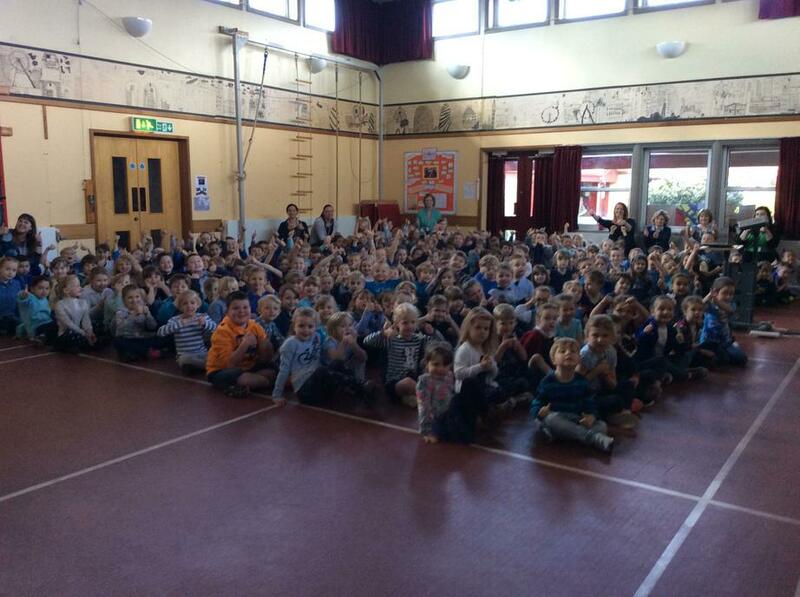 The children each brought in £1 to wear blue and raised a magnificent £328! The government have said that they will match any school's donation; so overall with the help of the government our school has raised £656! This money will go towards the children still living in Syria and refugees who are in need of vital aid. We started our day with an assembly that outlined what is currently happening in Syria and what UNICEF are doing to support the children in having their rights met. You have the right to food, clothing, a safe place to live and to have your basic needs met. You should not be disadvantaged so that you can’t do many of the things other children can do. Throughout the day the children all developed their understanding of the Syrian crisis further in their lessons. How is the money we raised for UNICEF being spent? The Rights Respecting Ambassadors lead a speech during the school's Macmillan coffee morning about their rights and how charities, such as Macmillan, help children around the world to have their rights and needs met. The Pupil Voice group have worked alongside the teaching staff and lunchtime supervisors to help create a Whole School Lunchtime Charter. The charters were introduced in assembly by Miss Harris but the Pupil Voice Group have spoken to their classes about them too. The Pupil Voice group completed Pupil Surveys that will help to improve our school. They planned and organised activities for Fairtrade Fortnight.